How Secure are Letters of Credit in Today’s Banking Climate? Today, letters of credit are routinely requested by landlords as security deposits under commercial leases, and they are also used by tenants as security for landlords’ tenant improvement allowances. In addition, owners and/or lenders often rely on letters of credit in lieu of payment and performance bonds by contractors and subcontractors that are unable or unwilling to increase their bonding capacity. For the most part, these letters of credit act as stand-by letters that allow the holder to draw from the letter in the event that the other party has failed to perform under their contract. For all of those who are relying on these letters of credit to safeguard their real estate deals in today’s market, it is imperative that they keep in mind that many of these letters of credit have been issued by local community banks that have an ongoing relationship with one of the parties to the transaction. As a result of the widespread financial problems that many of these banks are now facing, the holders of these standby letters of credit issued by banks which are undergoing FDIC receivership or takeover are coming to the realization that their letters may actually be worthless. The position taken by the FDIC is that the stand-by letters of credit of the failed banks are contingent obligations that do not support an allowable claim unless the right to draw on the letter had vested prior to the FDIC taking over the financial institution. 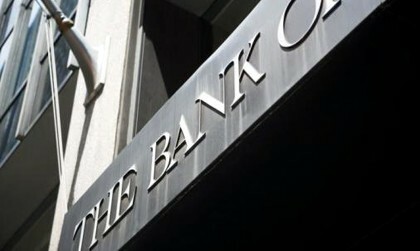 Since the FDIC can repudiate undrawn letters of credit and shield itself and the lending institution that issued the letter from any damages or responsibility, beneficiaries in today’s marketplace must review their current letters and take a close look at the financial strength of the issuing bank. The South Florida real estate attorneys at our firm have been undertaking these reviews for many of our clients. Generally, letters of credit allow the beneficiary to draw down the letter in case the issuer fails to meet certain financial requirements. A review of all pending letters should be undertaken to determine what possibilities exist to draw upon any letter issued by a troubled bank. In addition, in any new transactions, the lease and the letter of credit need to be drafted in a manner that takes into consideration the problems facing many community banks. They must clearly establish the financial ratings and solvency requirements that the issuing bank must maintain throughout the life of the letter of credit. Also, the documents should provide that the beneficiary may draw upon the letter at any time that the issuing bank’s financial strength dips below the agreed upon minimum financial standards. Our law firm has more than thirty years of experience in structuring lease transactions, construction contracts and other agreements encompassing letters of credit guarantees, and we focus on drafting and using lease and contractual provisions that effectively protect our clients.